This is the Code of Conduct document that outlines the responsibilities of community members, directorate staff and students to behave appropriately and positively to prevent or minimise non-compliant and aggressive behaviours. Click on the link to read Working Together with Your School. This booklet was prepared to support the workshop conducted on 3 September 2018. What are fidget toys and how do they help kids learn and manage anxiety? Click Here for some valuable ideas. 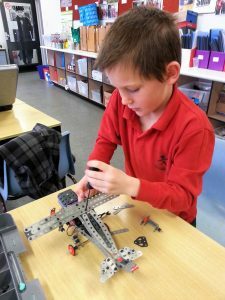 Click Here for a Youtube clip explaining How to Build with Meccano. Show young learners that Maths can be a lot of fun! This site has simple matching games, classic memory cards as well as ice cream themed bar graphs and playing cards place value games. These activities will both entertain and educate students. Click Here You need to register to get access to the resources but then they are free for you to download.